Electronic Arts had a huge press conference at Gamescom this year, revealing large amounts of detail for games we knew were coming out, but also games EA had kept secret until now. More specifically, I'm talking about Battlefield 4 Premium, and new details on how Levolution will have an impact on Battlefield 4 gameplay. To start off with, Battlefield 4 Premium contains five expansion packs. The first pack, China Rising, is the map used at press events and tradeshows. Secondly, we have Second Assault. This brings back several maps from Battlefield 3 with the upgraded Levolution. Next, we have Naval Strike. This pack takes to the sea as players go head-to-head across watery maps, controlled by the Chinese armada. The forth pack is Dragon's Teeth, which features many close quarter combat maps, set within a tight urban warfare environment. Finally, we have Final Stand. However, no information has been given about Final Stand yet. Premium members will receive all five expansion packs two weeks earlier than regular members, 12 battlepacks, priority in server cues and new content which is set to be released every week, including weapons, updates and more. The star of the show has to be Levolution. Levolution means Battlefield 4 maps have more destructible elements, introduces the light fixtures, and allows for environmental changes to take place. One of the coolest features is the light fixtures. As seen in the trailer, this allows gamers to turn out the lights in order to confuse the enemies. Then, the rampage commences as the solider starts his shooting spree using night vision technology. Another cool feature is the interactive environment. With the push of a button, or slide of a door, soldiers can block areas of the map for both enemy soldiers and vehicles. This is seen in the trailer when the soldier blocks the road with the bollards, and closes the shop shutters whilst shooting enemies. Finally, we have the weather changes. Maps can range from sunny sprees to mystic storms as the climate floods a city, making it only accessible by boats. Battlefield 4 is set to release on October 29th in North America, and October 31st in Europe. Overall, Levolution really makes Battlefield the game that we know and love. However, I'm not sure if it's enough to win back the gaming community for a lot of EA's anti-consumer transgressions. Only time will tell. 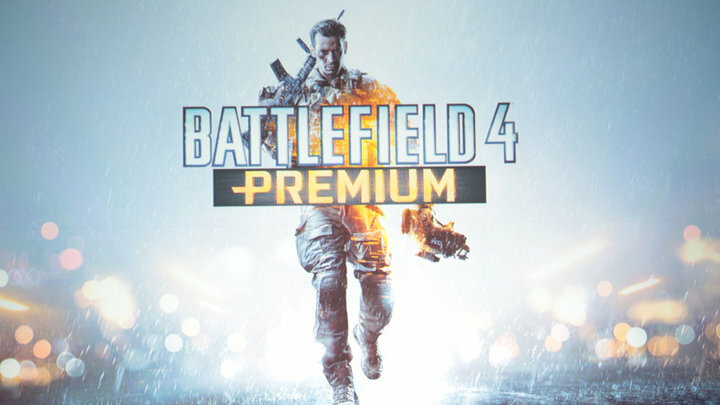 Let us know what you think of Battlefield 4 Premium, along with Levolution in the comments below.